Harper’s Choice has made it back-to-back wins in claiming the Premier’s Cup Prelude at Rosehill. Trainer Gerald Ryan has put aside the disappointment of Legend Of Condor’s unplaced run in the Listed Rosebud to celebrate the resurgence of Harper’s Choice. 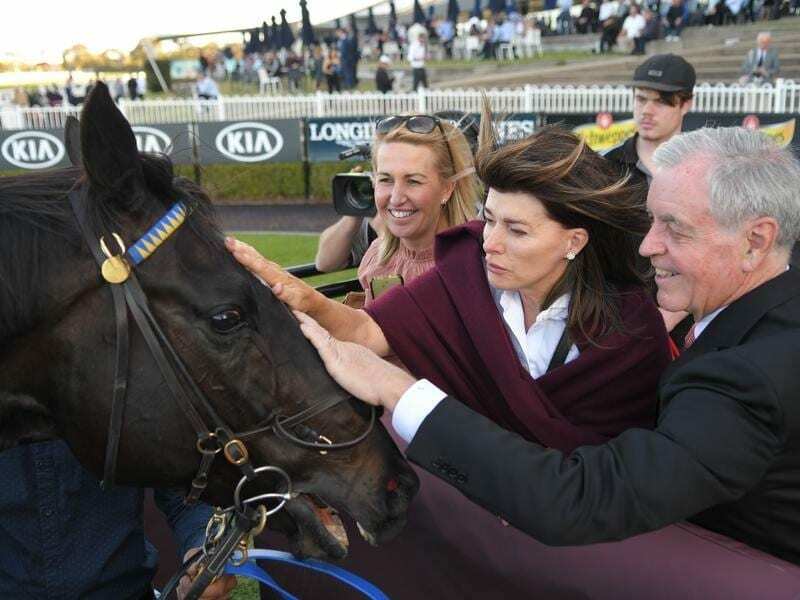 Second to Jon Snow in the 2017 Australian Derby, Harper’s Choice was lumbered with a high benchmark for that performance and took until the end of June to get back to winning form in the Listed Winter Cup (2400m). Having his first start since that win in Saturday’s Premier’s Cup Prelude (1800m) on Saturday, Harper’s Choice was sent out the $5.50 second-elect with Salsonic the $4 favourite. Jason Collett had Harper’s Choice in a good spot just behind the leaders and timed his run to perfection, holding off the challenge from Emperor’s Way ($6.50) with Mighty Lucky ($31) third another 1-1/4 lengths away with Salsonic fourth. “He relaxed the first 600 metres and then just was a bit keen the rest of the trip,” Collett said. “He is very strong but he also doesn’t want to get there too early so you have to hold him up. Ryan sent Harper’s Choice round in a barrier trial on Tuesday to make sure he was tuned up for the race. “His owner Peter Campbell has put a lot of money into racing and bought Harper’s Choice’s dam Oxegenada from Argentina,” he said. “So it’s great to see this horse in such good form.